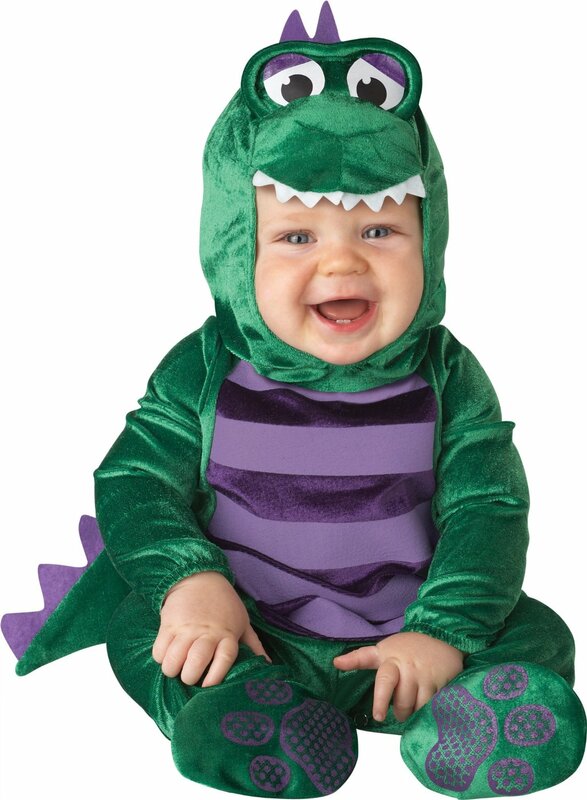 This infant and newborn sized dinosaur costume is simply too cute for words. 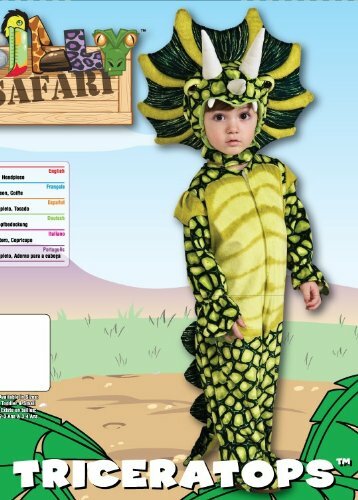 Your little one will have a blast running around and roaring like a dinosaur too. 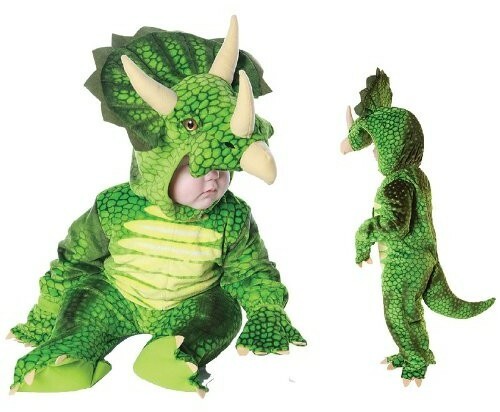 This infant and newborn dinosaur costume is designed with kids and parents in mind. It features skid resistant bottoms for new walkers and has inside the leg snap closures for easy diaper changes. This costume tends to run large in size. It is available in both newborn and infant sizes. The infant size is for kids 6 to 24 months and weights of 25 to 40 pounds. The costume is made from 100% polyester. 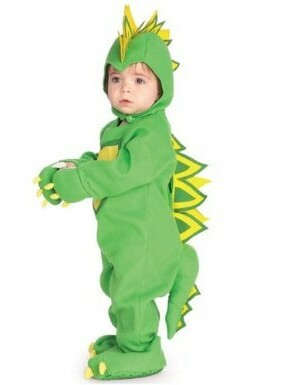 Hand wash your dinosaur costume in cold water to clean it.